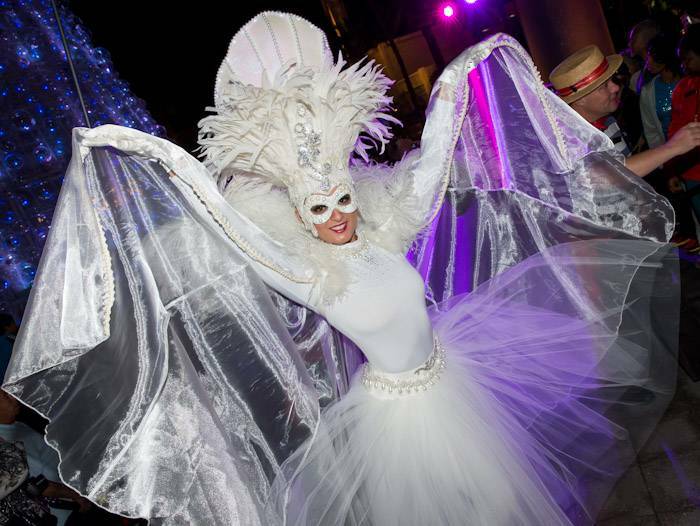 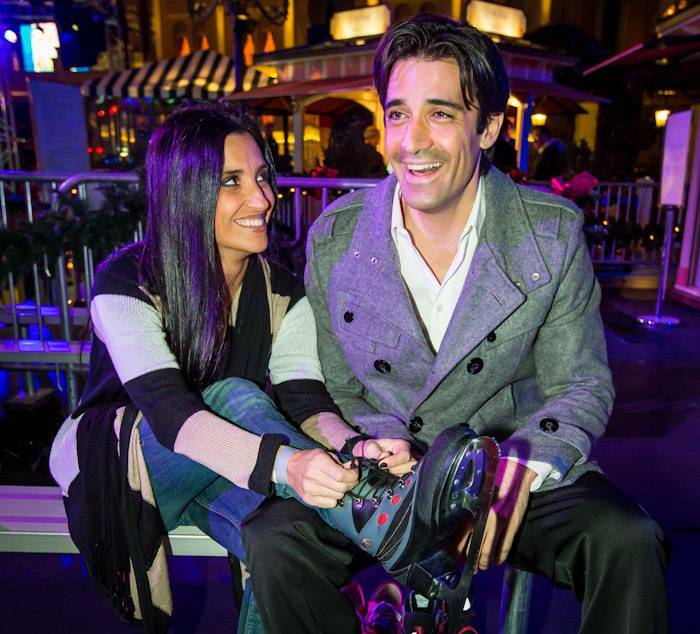 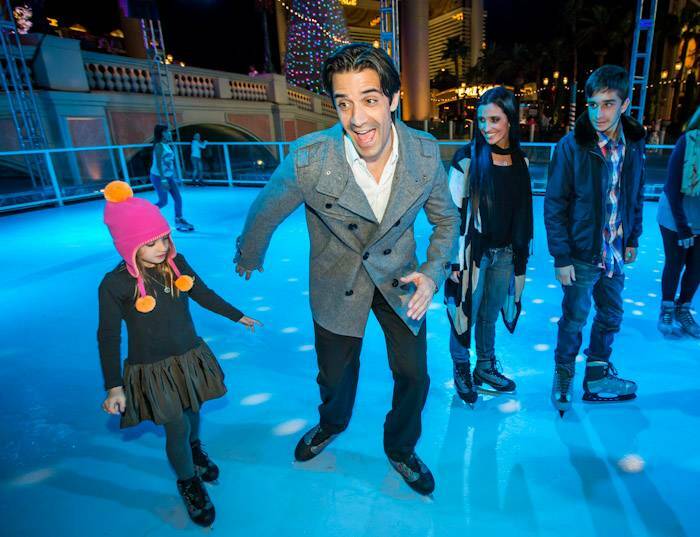 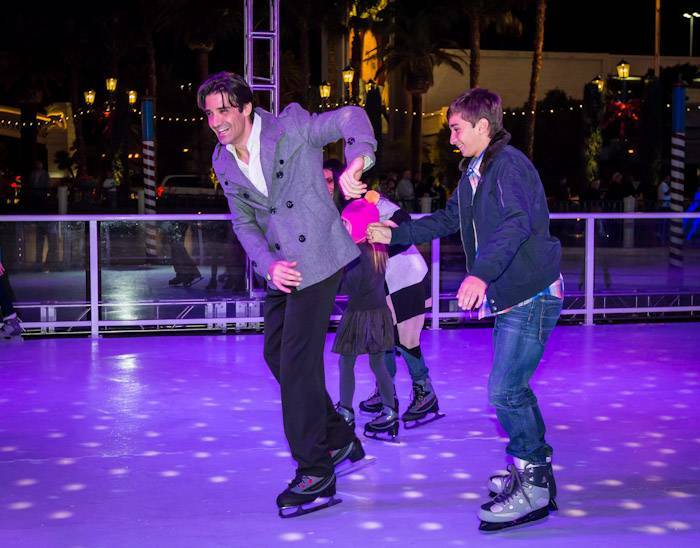 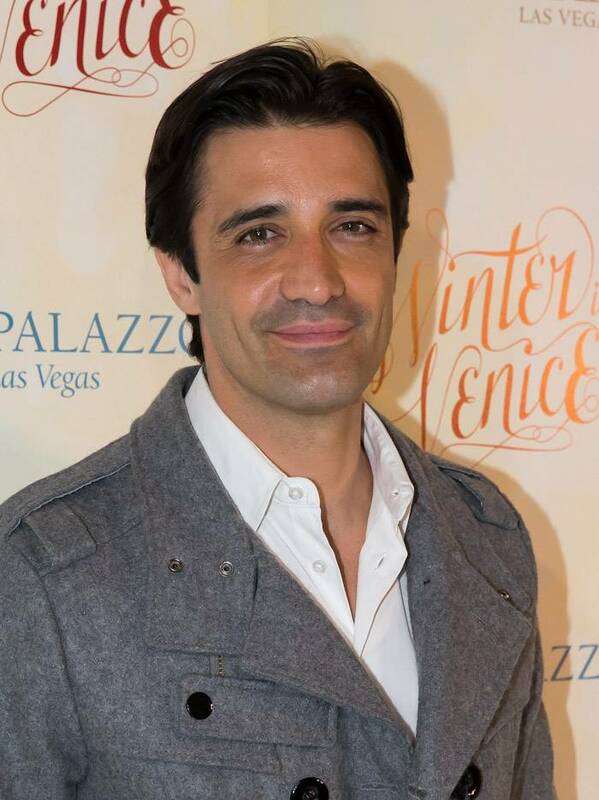 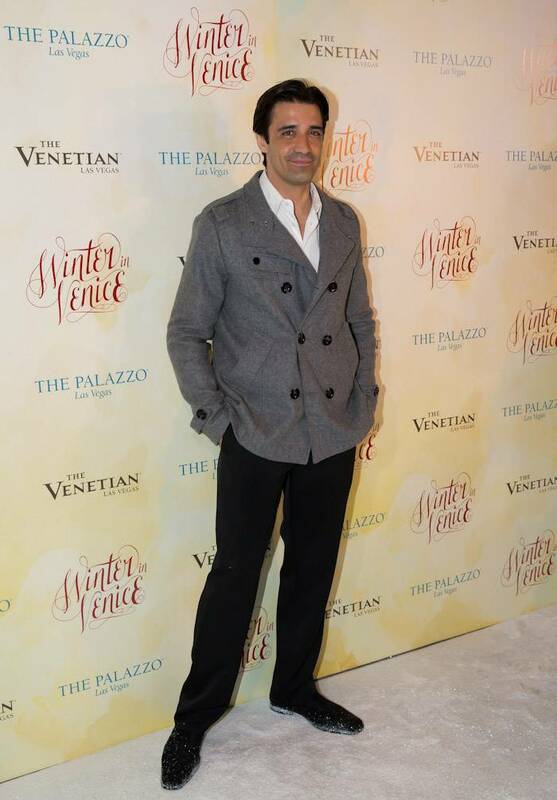 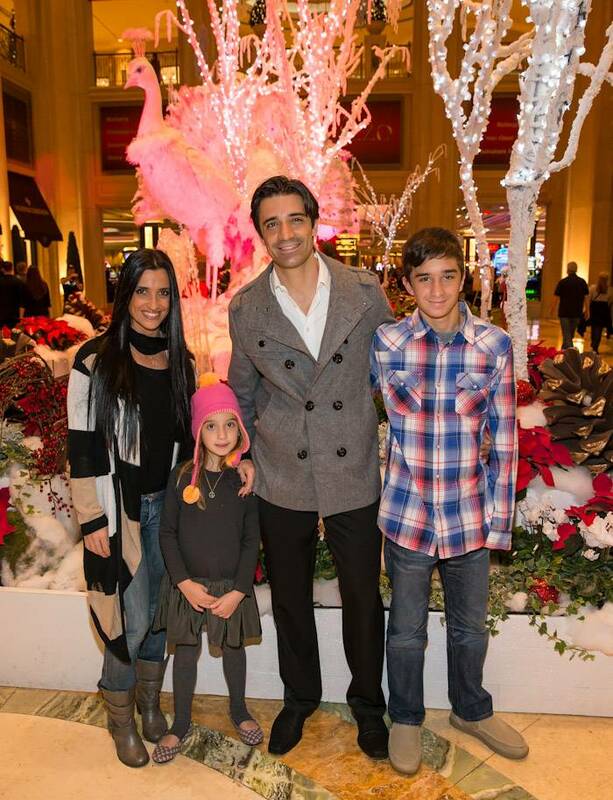 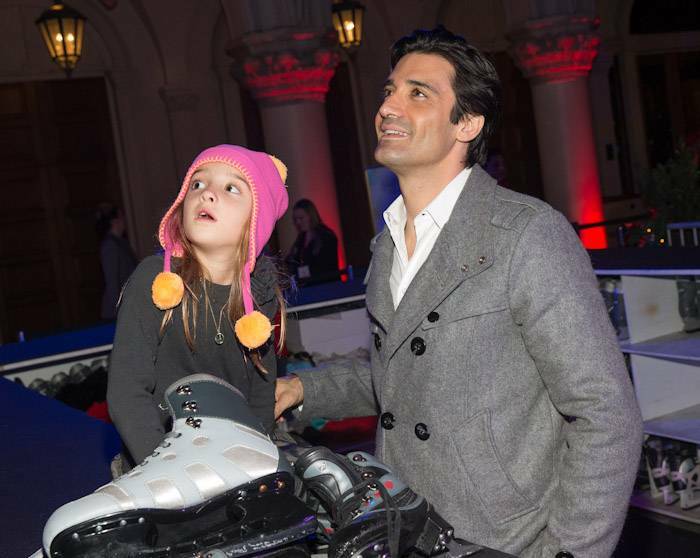 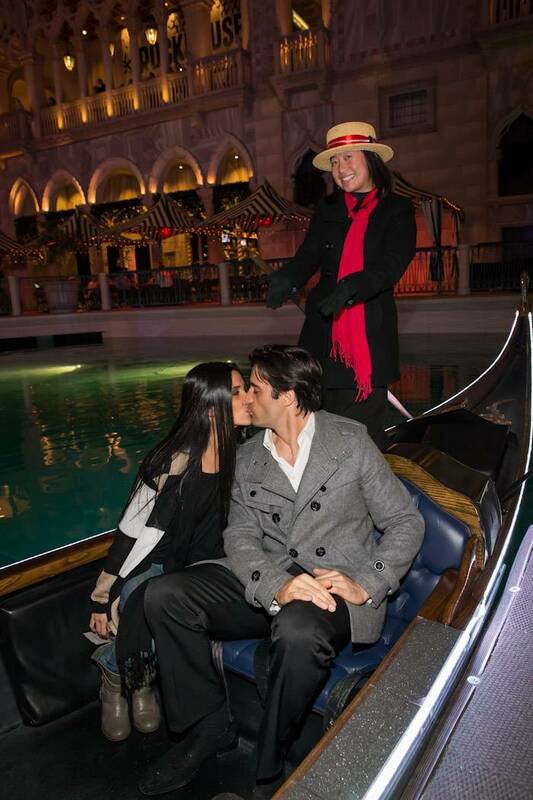 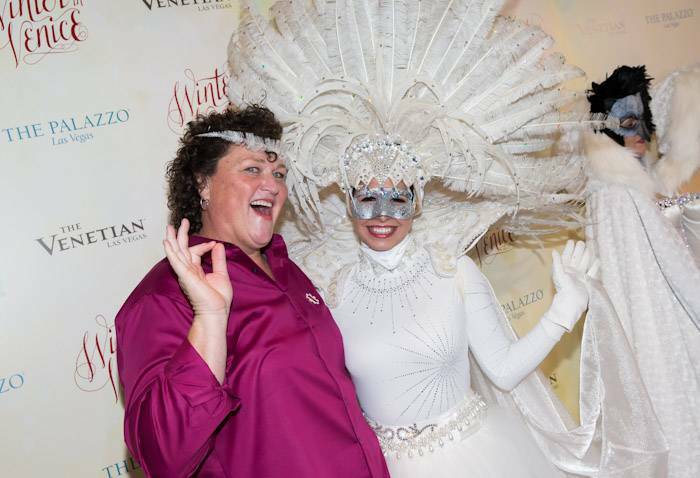 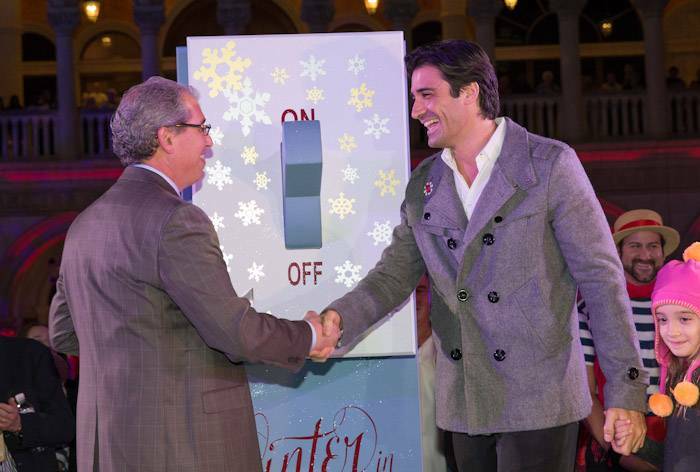 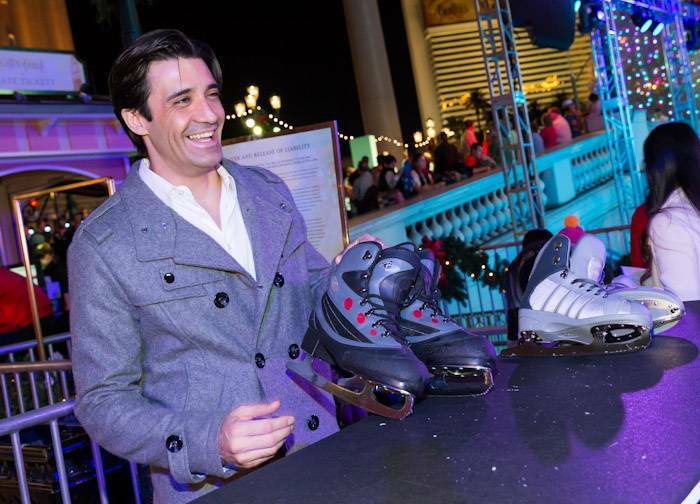 It was truly a family affair as actor and “Dancing with The Stars All Stars” contestant Gilles Marini and his family joined the Venetian and the Palazzo to kick off the second annual Winter in Venice. 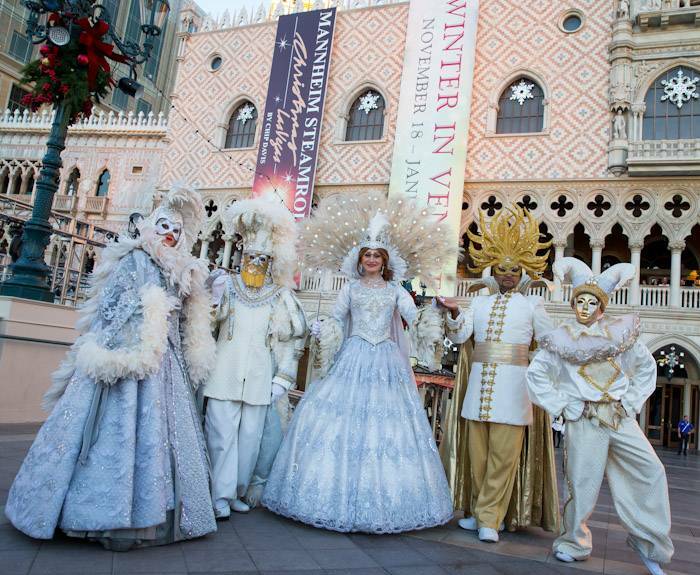 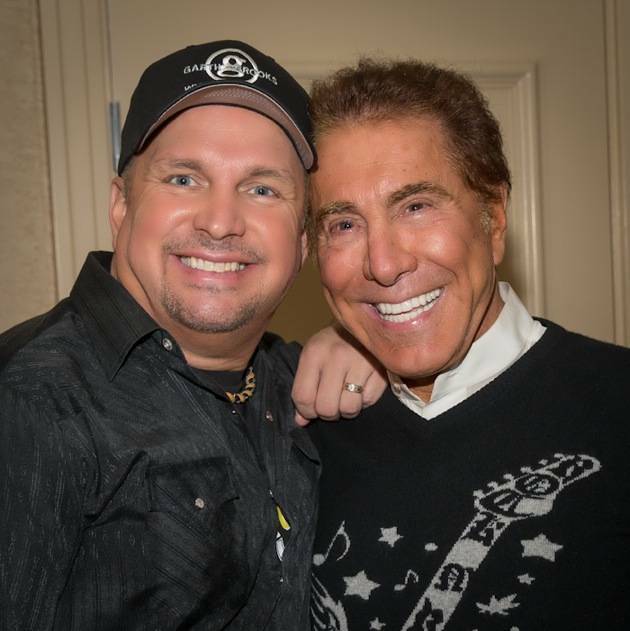 This year, Winter in Venice features a new marquee element, an exclusive six-week run of “Mannheim Steamroller Christmas Las Vegas by Chip Davis,” featuring beloved and iconic holiday music in the Palazzo Theatre. 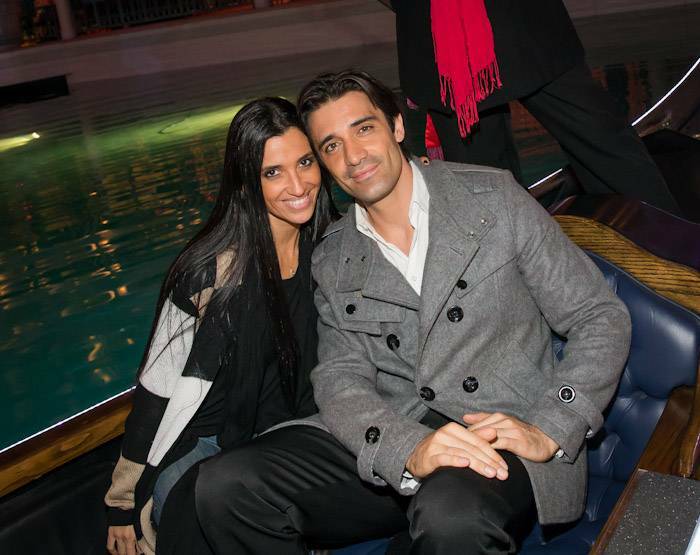 The group showed up to enjoy the Winter in Venice festivities. 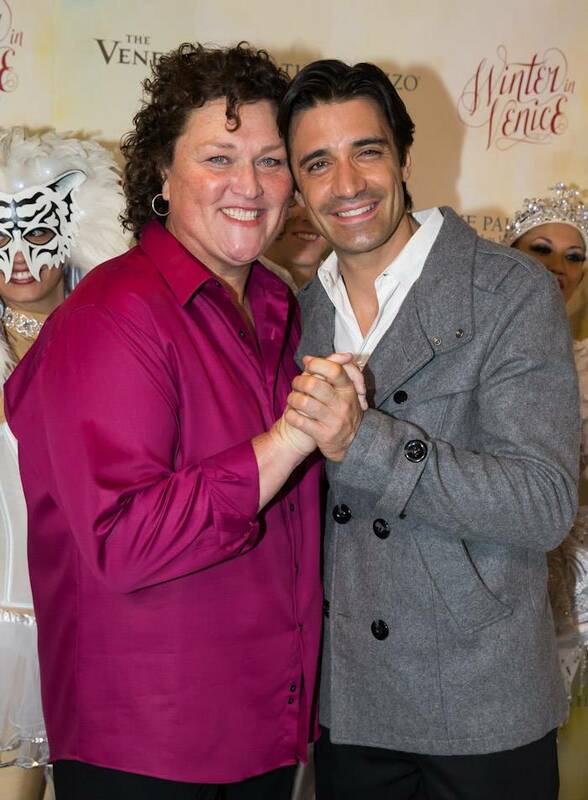 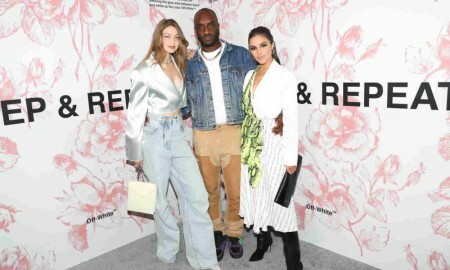 Glee’s Dot-Marie Jones along with a few of her close family and friends also attended the event. 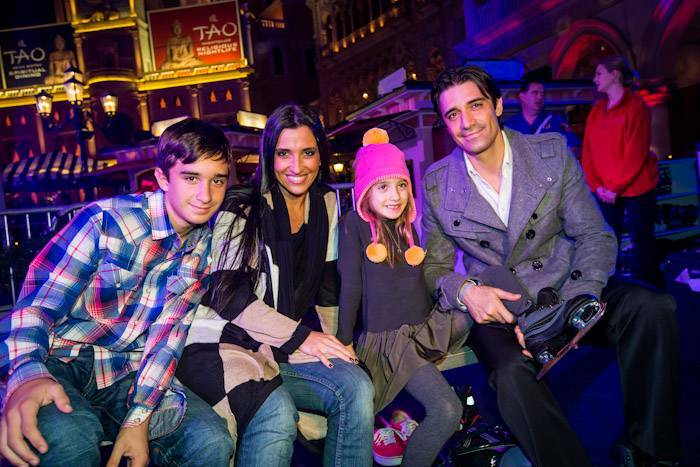 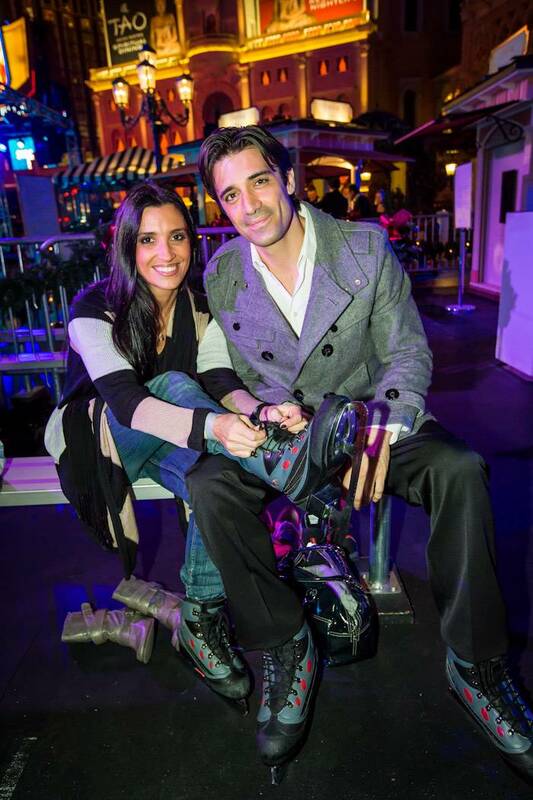 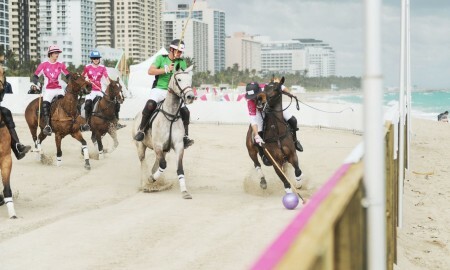 Gilles Marini was joined by his wife Carole, daughter Juiliana, and son Georges. 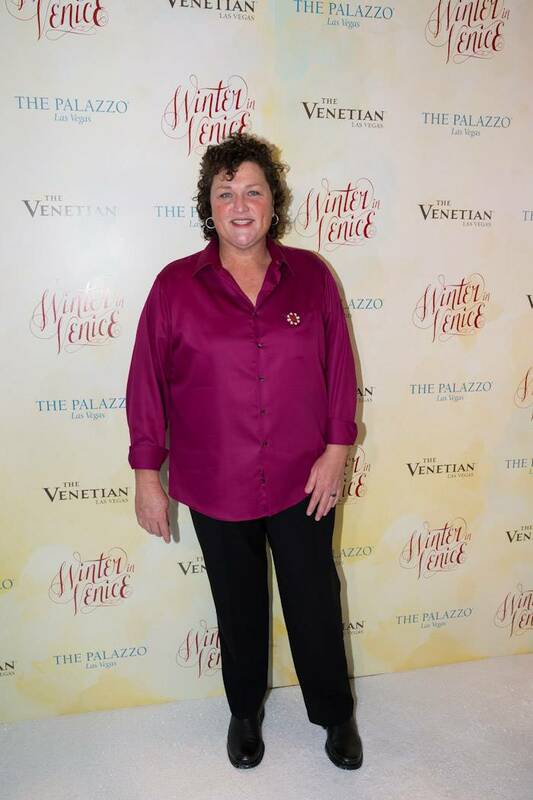 Marini’s leading lady arrived on the red carpet looking stunning in a black David’s Bridal dress and a Charmed Circle Initial Necklace. 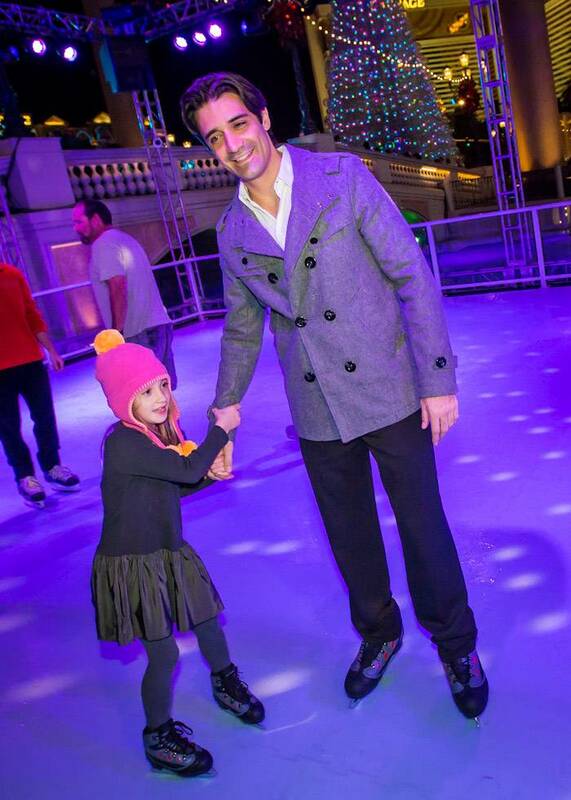 The youngest Marini, daughter Juiliana, wore a matching Charmed Circle necklace, and looked adorable in a Wunway dress and shoes. 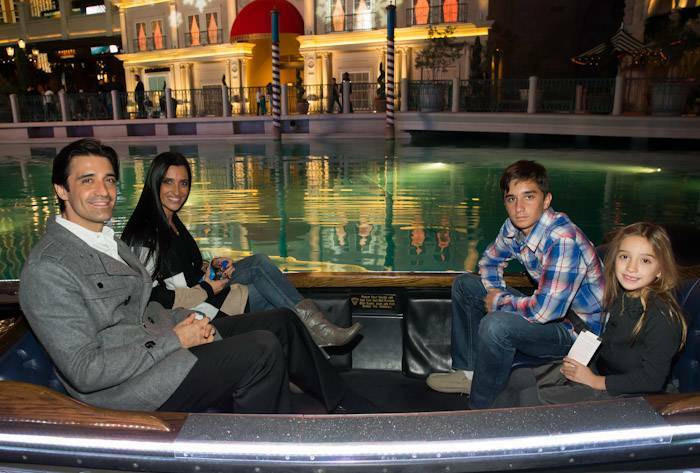 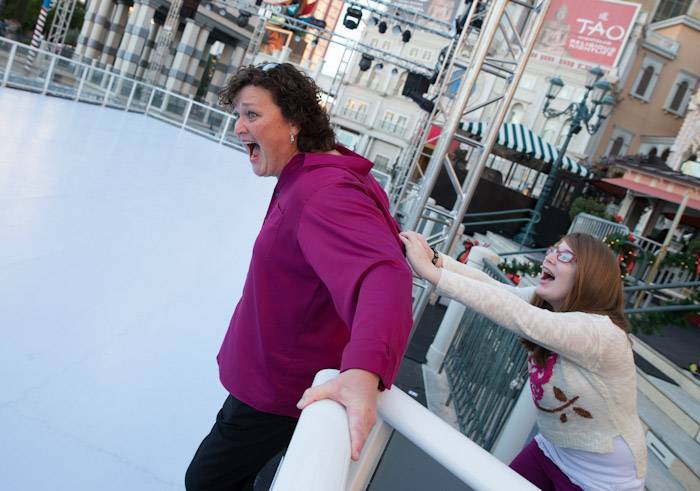 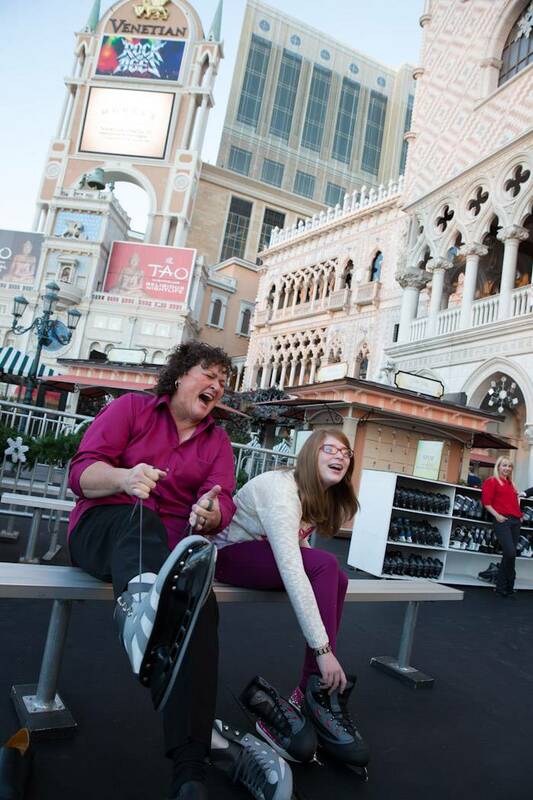 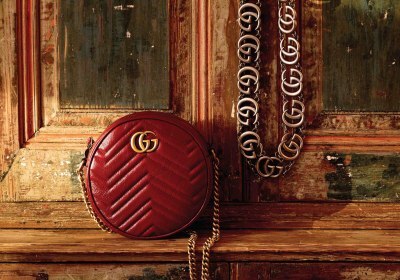 The close-knit family enjoyed some of the festivities that Winter in Venice had to offer including the famous Gondola Ride, skating at the first rink on the Las Vegas Strip, and posing for family photos in front of the large Christmas tree. 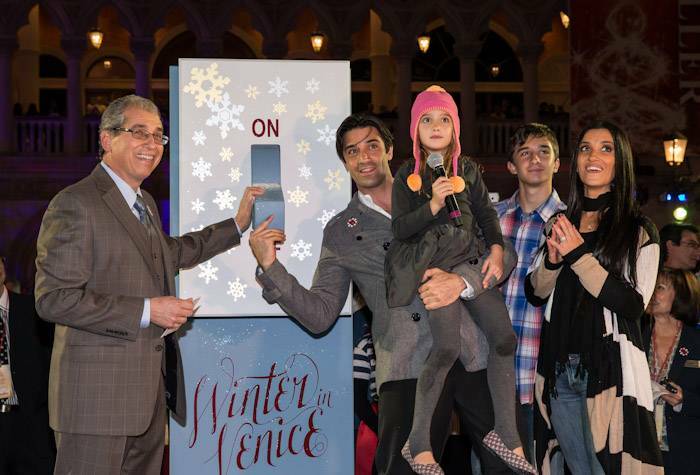 Marini and his daughter Juiliana joined the crowd at the Venetian to flip the switch igniting the clock tower light show and the Winter in Venice parade.